Do you know where the Telephone Office was originally located? This black and white photo shows the inside of the Iron Bridge Telephone Company. 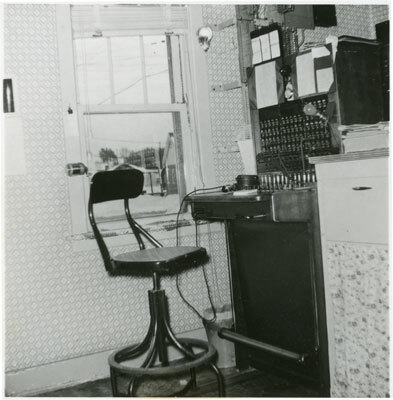 The switchboard and operators chair are visible in the photograph. The Iron Bridge Telephone Company was sold to Bell Telephone in September of 1961. This photo can be found in the Tweedsmuir History created by the Iron Bridge Women's Institute.